It's always back to school season with Cisco's largest education community. "I'm using the computer, I should be able to do what I want," said Billy Anglin. Anglin originally believed he didn't need school because he would just become a computer genius. A guidance counselor advised Anglin that instead of a "traditional" school, he should check out Cisco's Networking Academy (NetAcad) to learn more about what he loved most, computers. It was here where Anglin found a community of tech-lovers just like him. Through NetAcad, he has also landed his dream job as a Senior Security Systems Administrator. "[NetAcad] gave me a new level of superpowers," said Anglin, "It really was like the next level." Anglin is just one of countless students who changed careers because of NetAcad. The program is an area that Cisco is especially passionate about—education through IT courses, technical education, and mentorship. 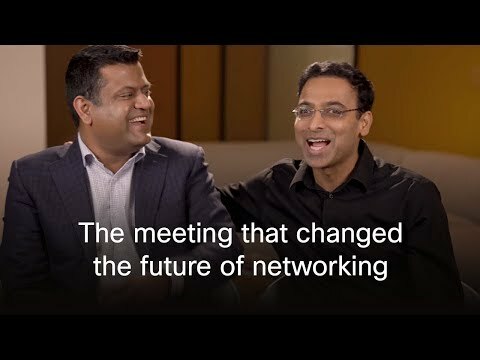 NetAcad celebrated its 20th anniversary this year, marking two decades of teaching workforces the latest in STEM and IT. But it's not just students who benefit from NetAcad. Instructors take pride in the impact their having on their students and countries. Take Azamat Zhamanov, for example. He has created seminars and teaching material for classes in 35 cities in Kazakhstan. Zhamanov's students learn networking and programming that will ultimately drive the country's digitization. Worldwide, NetAcad offers lessons in the latest tech trends like networking, Internet of Things, and programming. For Anglin, he wanted to learn about security and he took NetAcad courses that cover the cybersecurity industry. NetAcad offers introduction and essentials courses for beginners who want to get started in the field, and CCNA (Cisco Certified Network Associate) courses to get certified in security detection and response. As the IT world is rapidly changing, there may be IT professionals who need new skills in order to stay current. Cisco's Continuing Education Program shows that learning truly never stops–the program provides curriculum for the latest advances in technology and even re-certification options. Businesses are rapidly changing with new tech in Internet of Things, cloud, the network, and more, and certified professionals need the skills to match. Continuing Education gives those seeking new skills the chance to learn. To see how else the company is impacting education, check here.